Sometimes being a homeowner feels a little like being a firefighter: one thing goes wrong, you fix it, and another leak springs up. Before too long, you feel like your whole house is bursting at the seams. Well, unfortunately, your roof does have a lifespan, and it might be sooner than you think. So…how long does a roof last, exactly? You can find the answer to that question in this homeowner’s guide to your roof’s lifespan, as well as great tips on repairing and maintaining your roof. We’ll also dive into how to get a fair estimate on a new one (in case your roof has seen its last sunny sky). Ready? Let’s take a look at that roof. Before we can talk about repair tips we need to know what kind of roof you’ve got protecting your head. Let’s go over the most common types of roofing material in Arizona. Asphalt shingles: Just like the name says, these are shingles made of asphalt, which are a nice budget option. These can last anywhere from 15-40 years, depending on whether or not you have “premium” shingles. Tiled roofs: There are a few different kinds of tiled roofs, ranging anywhere from stone-coated steel to heavy-duty concrete or clay tiles. Stone-coated steel tiles can last up to 50 years, while concrete and clay tiles boast an impressive 50-100 year lifespan. Wood shingles: Simple – shingles made from wood, often cedar. Depending on construction, wood-shingled roofs will stay solid an average of 30 years. Flat roofs: Flat roofs are most typically made of shorter-lasting EPDM rubber (5-15 years) or longer-lasting PVC/TPO membranes (20-30 years). Knowing your roof type is important, especially when you’re trying to figure out the average life of the roof or if you’re looking into getting a new roof estimate. Now that we know what kind of roof you’ve got over your head, let’s look into some signs and symptoms of a faulty roof. Aside from not having one at all, what are the most common issues with roofs? We all know the feeling. It’s raining outside when suddenly you feel a cold drop on your shoulder or head. A leaky roof might be a sign that your roof needs a facelift. “Honey, I don’t remember putting a skylight in the bathroom.” Well, that’s probably because you didn’t. Seeing sunlight or outside air through your roof is a clear indicator of roof problems. If you’re seeing black or green grossness in your gutters, you might want to thoroughly inspect your roof. Granule loss or mold growth can be a signal that your once-strong roof is rotting away on the inside. Now that we know your roof is healthy, it’s time to do some maintenance so it can last as long as possible. First, we’ll go over how to maintain your existing roof. A diverse climate like Arizona’s means your roof sees plenty of dirt, which can compound and become a massive headache over time. For example, even leaving leaves underneath tiles can be bad – those leaves break down and cause mold, algae stains, or insect infestations. It might be time to bust out the leaf blower, broom, and brush to give those tiles a good scrubbing. This one might be best with a little help from a roofing contractor, so don’t worry too much. Just like your body or your car, you roof needs regular maintenance and care. A roofing contractor can help you set up a maintenance schedule and even perform the maintenance and cleaning for you. You wouldn’t drive around town with a flat tire, so why would you sleep under a roof with damaged shingles? 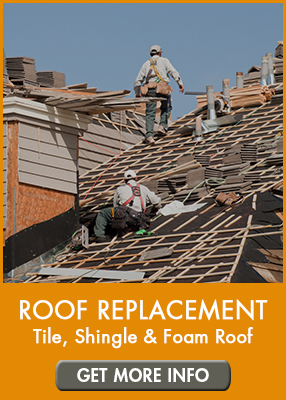 Shingles can break due to flying debris in storms or become waterlogged and leaky after heavy rainfall. Just like with a car, it’s best to fix issues early when they’re first caught. What if I Need a New Roof? It’s not always possible to maintain a roof, so you need a plan when your roof decides to call it quits. In that case, you need to know where to get a new roof. With a hectic climate like Arizona’s, this also means you need to make a smart, informed choice on what kind of roof you buy. Keep these criteria in mind while shopping around for a roof. It’s important to look into what kind of shingles to buy. You might be tempted to go with a low-cost option like asphalt. However, based on how long asphalt shingles last, this might not be the best choice in the long run. Underlayment: To Buy or Not to Buy? The underlayment is what’s installed underneath the roofing materials to protect against colder climates and moisture. With as much rain as Arizona gets, it can be a good idea to invest in solid underlayment for your home. Anyone who has been to Phoenix can say for sure that the ventilation of a home is important. In a hot climate, it’s important to know how well your home is being ventilated through the attic. Installation method also matters depending on climate. This can be anything from how the shingles are attached, how air flow is determined, and how the roof deck is cleaned. Make sure to only work with well-reviewed professionals. Instead of asking yourself “How long does a roof last,” let us help you! 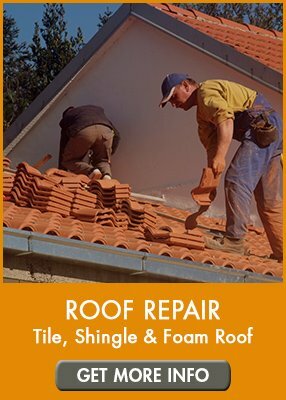 We are the #1 roof repair and replacement company in Arizona, and we can help you with anything from roof repair and maintenance to a full roof replacement. We’ll even give you a free estimate on any kind of roof you want. Don’t wait until your roof becomes an issue – contact us today at (602) 283-3383 for more info! Searching for the top “roofing company near me“? Call AZ Roofing Works. 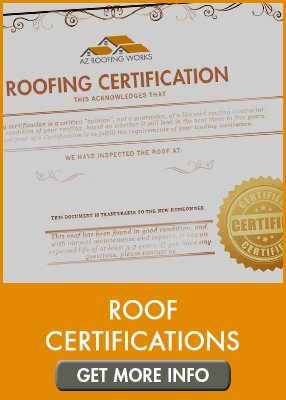 We are a top-rated roof installation and repair company serving Mesa, Chandler, Scottsdale and other Metro Phoenix locations! 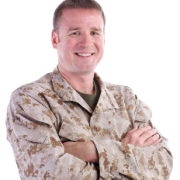 Contact us online or call our office directly at (602) 283-3383.